The International Association of Machinists and Aerospace Workers (IAM) today announced it declined management’s invitation to participate in the “new” American Airlines’ opening bell ceremony at Dallas/Fort Worth International Airport celebrating the carrier’s first day of stock trading on the NASDAQ. 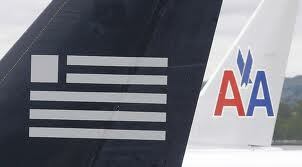 IAM members at US Airways have been in contract negotiations for almost three years. The carrier’s management, headed by Doug Parker, who will assume the reins at the “new” American, has refused to settle new accords with IAM members at pre-merger US Airways. Earlier this year, the IAM requested a release from contract talks from the National Mediation Board (NMB), a federal agency, which, if granted, could lead to a strike. The IAM and Transport Workers Union (TWU) formed an alliance earlier this year, the TWU-IAM Employee Association, to jointly represent mechanic & related, fleet service and stockroom employees at the new airline. The agreement stipulates the TWU-IAM Association will request a single carrier determination from the NMB, a pre-requisite to integrating unionized workforces. This request will only occur once contracts are settled for IAM-represented workers at pre-merger US Airways. Workforce integration will be delayed for approximately 32,000 workers at the carrier, by far the largest percentage of the combined workforce, until the airline settles agreements with the IAM. For more information, visit www.usaamerger.com.